Beauty from within, using natural anti ageing remedies. I have started this page with you in mind, because you don't have to spend hundreds of pounds on expensive anti ageing and beauty products, that don't even do what they promise to do in the first place. The first secret is to look good for the age that you are, getting older is not as bad as you think, It's a natural process that you can't change, and why would you want to, it's only the media that make you feel that you need to. I wouldn't change my age if I could, I just like to keep healthy and look good for me. As the saying goes you look as good as you feel. In my younger days I was a sun worshiper so I think I have been let off lightly with perhaps the damage I have probably done to my skin, but some sun is actually good for you it gives you a natural boost of vitamin D. If you are out in the sun a lot then I suggest you use aloe vera and coconut oil to replenish your skin and drink plenty of fluids. Mud is the best sunblock but obviously most of us wouldn't walk around covered in mud, but when you are on holiday I would suggest you have plenty of natural mud baths if this is possible. Mud is full of nutrients that will replenish your skin after sun bathing, and of course a good sun block will protect you. Try and find the ones with lots of natural ingredients and make sure you use a good moisturiser every day. 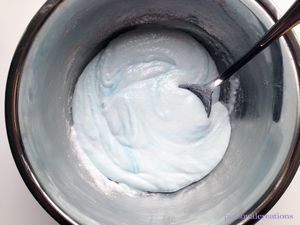 I mix shae butter argon oil and pure aloe vera together, I also mix my own face cream using the same products. Before I moisturise my skin I exfoliate and for this I use a hard sponge to scrub my face and body because it removes all the dead skin to expose the new skin underneath. You can almost scrub your wrinkles away or just make them less prominent. Facial exercises are also good because it stops your face from sagging. Looking good on the outside actually starts from within, even on a low budget you can eat healthy. A spoonful of coconut and hemp oil per day is all your body needs for omega oils and to keep you flexible. If you start the day with a glass of hot water with fresh lemon juice, it is known to keep the body alkaline, bicarbonate of soda has the same effect, cancer is reputed to thrive in an acidic environment. Green tea and chilli red peppers are also known to fight cancer. There is a lot of information on the web about healthy foods but sometimes too much information can make you confused, therefore, i will be as brief as I can, so here are a few examples of how to maintain your body as the changes of ageing take hold, because being healthy on the inside will reveal a more youthfulness on the out. Please don't expect to look or feel 30 years younger in a week, if I had a potion for that then I would be a millionaire over night, however, if you make these simple changes and add a few wholesome foods to you're existing diet, or even gradually change what and how you eat then I am sure you will start to see and feel a good result very quickly. I also have the younger generation in mind, because you are never to young or old to make a change in your diet, and the sooner you do the better the result. As a nation I do feel we need to change our eating habits, not just for health but also to replenish our planet.